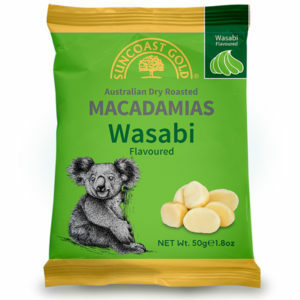 Patons caramelised range combines delicious Australian macadamia nuts with tempting flavours like Mayo & Wasabi. 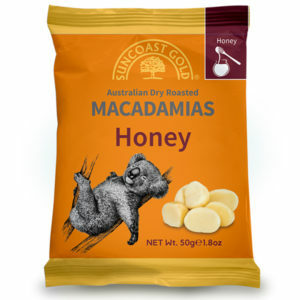 This hand roasted and flavoured range is the perfect sweet sharing treat that demonstrates the taste and versatility of the buttery macadamia nut. Comes in a 100g Canister.